Youth Hostel in Devonport Remarkably Remarkable! As regular readers know, I crap on a fair bit about being remarkable in your business so that people remark on it to others. Word of mouth is often the most powerful marketing asset for any business, but most don’t actively set out to generate amazing stories because, well, because it’s often just easier to pay big $$$ for a massive ad in the local newspaper or on TV. 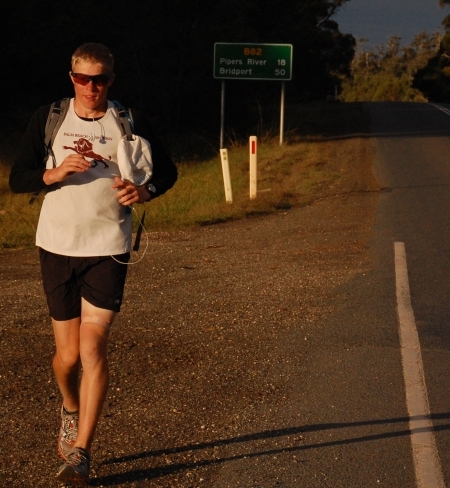 My son Jack is half way around Tasmania on a 1,200 km solo run for charity. Yesterday he ran a staggering 67 kms from Exter to Devonport. When he was a couple of hours out of Devonport, I started looking for accommodation. 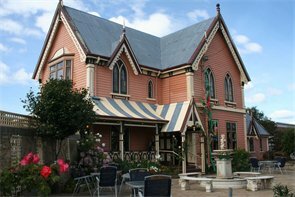 I stumbled across the Gingerbread House – a youth hostel in Devonport that has a striking resemblance to the Gingerbread House of the witch in the famous Hansel and Gretel story. The Gingerbread House Lady Is No Witch! I called up the Gingerbread House and had a chat with Melissa about availability. I quickly told Melissa my story about Jack running around Tasmania and that he was a couple of hours out of Devonport. She provided very friendly and helpful advice for when Jack made it to the hostel. Going The Extra Mile – Or 10! Then she stepped up and went the extra mile – or 10 miles. You see, Jack wouldn’t get to the hostel until 8 pm. The local supermarket shut at 7.30 pm. So he’d have no food when he arrived and it would be a real struggle to find some decent food. “No problem, leave it to me,” said Melissa. Melissa had zipped of to the local supermarket and stocked up on food for when Jack arrived. No extra charge for the service. Just a lovely person doing a wonderful thing to help out a customer. And because it’s remarkable it gets remarked upon. And people searching for a youth hostel in Devonport will find this story. They’ll read about how nice Melissa is. They’ll see she’s kind and she actually cares. And they’ll be way more likely to book in – because Melissa (and this story) has just reduced the perceived sense risk in booking in at this great youth hostel in Devonport. That’s because Melissa is trustworthy and kind – and I’ve provided this little story as a testimonial. Not that I think Melissa will need much help – her hostel is just metres away from where the Spirit of Tasmania ferry (which runs between Devonport and Melbourne), so is in a perfect location for travellers. Being remarkable is the most powerful marketing tool businesses possess. Use it. Be remarkable.